There are over a million attorneys in the United States. Are you doing enough to make your practice stand out on the web? 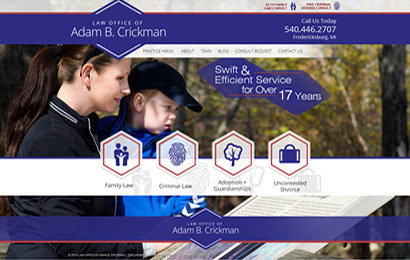 Our custom website development package will enable your law firm to create a powerful online presence which is unique, dynamic and most importantly-effective. With no design or page restrictions, your site’s potential, and your practice's growth trajectory, knows no bounds. 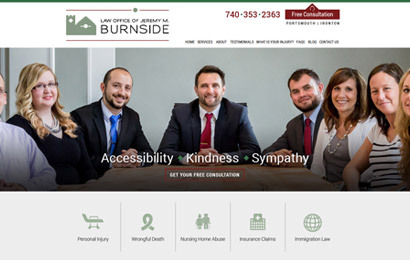 We don’t believe in a “one size fits all” approach to website design which means we take time to learn all about your practice, from your history, professionals and past successes, to the types of clients you serve and your plans for future growth. We then get to work building a website that is perfectly reflective of your practice. 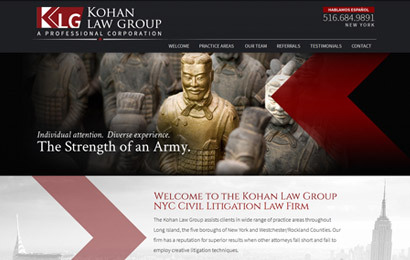 We don’t expect you to be an attorney by day, and website developer by night. At Zola Creative, we take all of the guesswork out of the site development process and make it easy for you to focus on the billable work while we make sure there is plenty of it to fuel your practice. Engage site visitors with our interactive site tools which include our Seminar Management System, Integrated Blogging, Online Forms, Click to Call Technology and innovative E-Newsletter system (available). Resonate with clients, colleagues and site visitors with full use of our extensive content library. each page you add to your site. during & after the development process. sent right to your office.